Our important educational, social, and humanitarian programs and services have become crucial to the Kishinev community. And functioned according to the needs of the community. Our Educational Programs for Women, Seniors, and Children include the Chabad Lubavitch Jewish school. kindergarten to intermediate school, along with Sunday School and camps, and regular synagogue lectures including monthly educational programs for women. Thousands of men, women and children can now observe their Jewish identity during the years, each on his or her level, and you could find them in Tel Aviv, the Israeli Army, New York and all over. Our Holiday Support Program makes it possible for the community to gather, socialize, and observe the many important holidays during the Jewish calendar year. 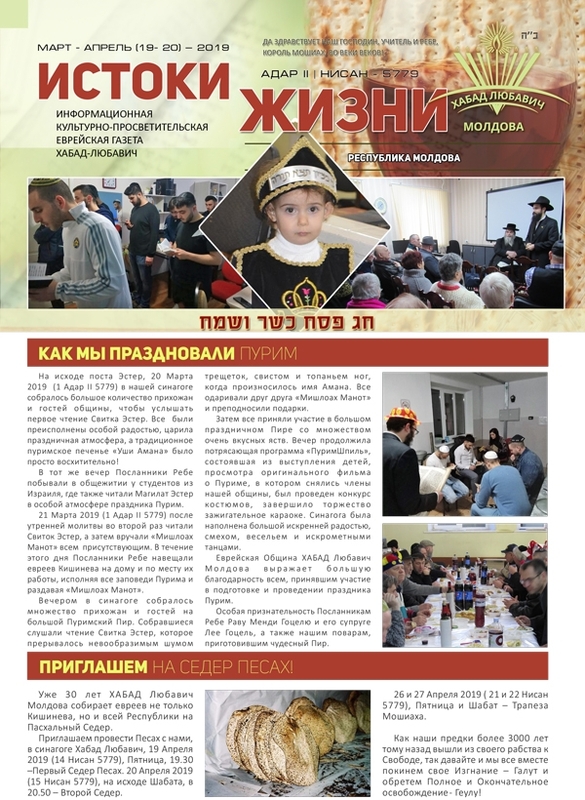 From Shabbos to the high holidays, from Sukkas through Passover, we are proud to celebrate together with the Jews of Moldova for all the holidays throughout the year. This spiritual and social uplift is another crucial element of the services we provide. Malnutrition is a very real threat to the populace, particularly the very young and very old. Our Food Program includes the Kishinev Synagogue soup kitchen, which provides needy Jews with a hot meal every day, while the students who attend our schools receive two nourishing meals a day. For the homebound, we have the “Visiting the Elderly” food and support service. In Moldova today, the importance of these food programs cannot be underestimated.